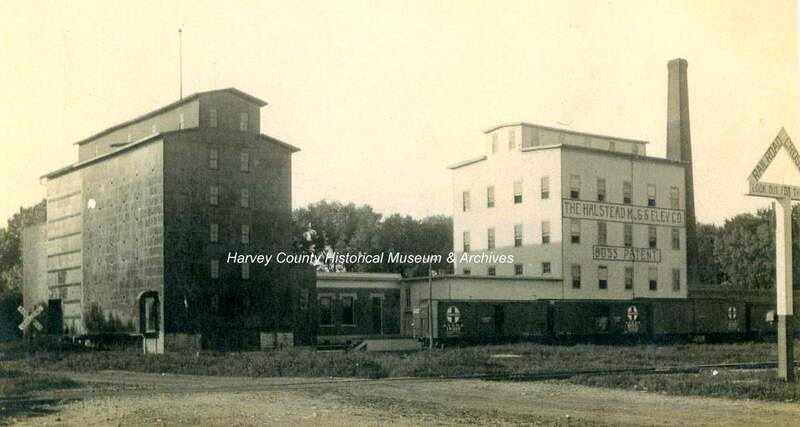 Halstead Milling & Elevator Company – c. 1910 photo. Established: 1874. Halstead had the first flour mill in Harvey County when Bernard Warkentin built a dam across the Little Arkansas River in 1874 so he could power his machinery. It’s often referred to as “Warkentin’s Halstead mill.” Note: The building on the left was destroyed by fire in 1913. Some of the low level buildings in the middle still exist in 2018. Photo Source: HCHM collection.